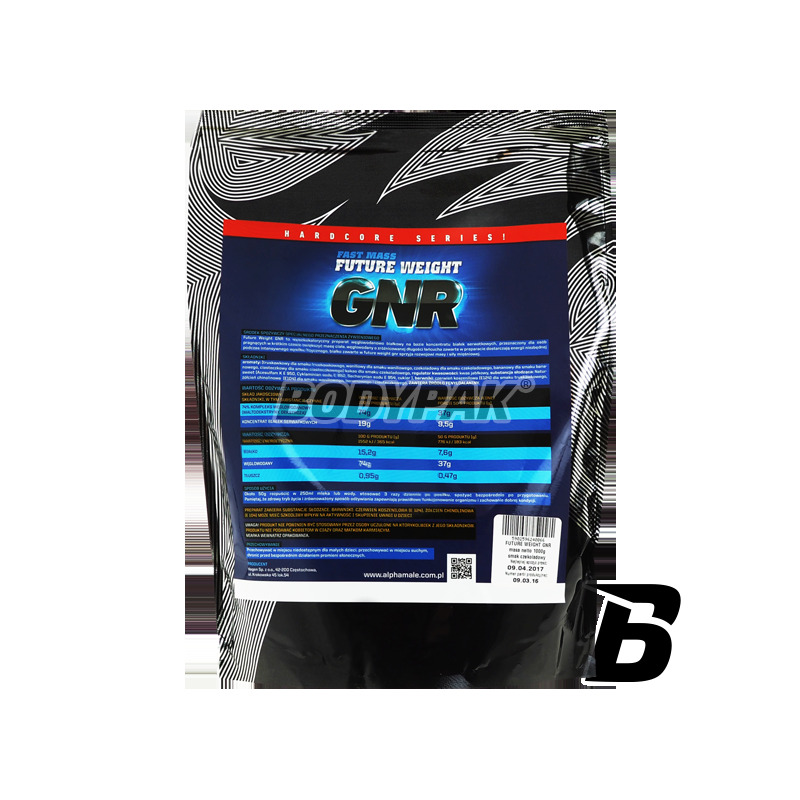 High-class carbohydrate-protein supplement designed for athletes of all disciplines, which seeks to improve muscle mass. Alpha Male Future Weight Gainer is a carbohydrate-protein supplement designed for athletes of all disciplines, which seeks to improve muscle mass. It has optimally selected carbohydrates with different absorption time (maltodextrin + dextrose), and whey protein concentrate. 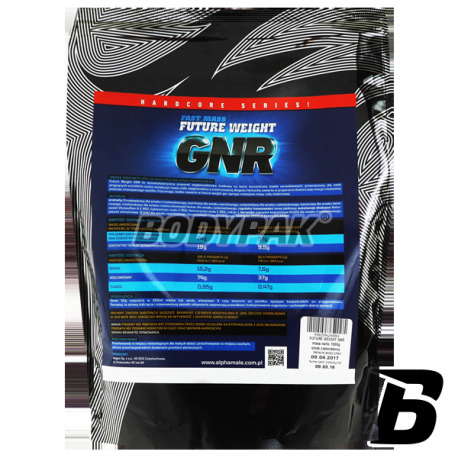 The task FUTURE WEIGHT GNR is primarily to build lean muscle mass by selecting the ideal ratio between protein, the main builder, and carbohydrates? the primary fuel. Sugarcane adopted after training rebuild your muscle glycogen to another training was even more effective than the previous one, and so to a dream figure. This protein builder your muscles and rest for the muscle fibers loaded workout. Thanks to the individual amino acids regeneration and fitness is intensified, and your muscles ready to take the next training unit. Alpha Male Future Weight GNR is also an ideal source of extra calories. It is especially recommended for people practicing strength sports, bodybuilding, football players and practicing endurance sports in the period to build strength and muscle mass. It can also be used as a dietary supplement for people who have a very fast metabolism and need the extra calories and nutrients. Składniki: aromaty (truskakowy dla smaku truskawkowego, waniliowy dla smaku waniliowego, czekoladowy dla smaku czekoladowego, bananowy dla smaku bananowego, ciasteczkowy dla ciasteczkowego), kakao dla smaku czekoladowego, regulator kwasowości (kwas jabłkowy), substancja słodząca (Natursweet [acesuldam K E950, cyklaminan sodu E952, sacharynian sodu E954, cukier]), barwniki (czerwień koszenilowa E124 dla smaku truskawkowego, żółcień chinolinowa E104 dla smaku waniliowego, bananowego i ciasteczkowego.